Starting an online business may be cheaper than building a brick and mortar store, but there are still prohibitive costs associated with getting started. 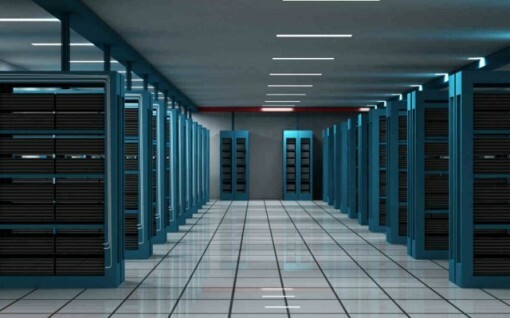 Many of these costs lie in the arena of web hosting. Sure, getting on a shared server can be done for a very minimal investment, but any business that wants to grow is going to find a shared hosting plan extraordinarily limited. If you think that all web hosting plans beyond the most basic packages are too expensive, though, you may not be aware of all your options. In fact, there are low cost hosting plans all over the place, many of which are tailored to meet the needs of fledgling small businesses who don’t have vast reserves of capital. If you’ve put off starting your online business because you don’t think you can afford it, here are 6 ways to get the best deal on web hosting for your site. When starting your online business, take the time to look beyond the top two or three web hosting companies. Certainly, there are those names you’ll hear again and again, but just because those companies are popular doesn’t mean their services are right for you. Many startups use these hosting companies because it’s all they know, locking themselves in contracts before they’ve ever had the chance to shop around. Do you research before settling on a deal. If you’re buying web hosting on a budget, you should prioritize the things you want or need in a hosting plan. Is maximum uptime an essential concern? Would you rather have a phone number you can call at any time of the day or night or a hosting plan with more flexibility? If you want to save money, you’ll have to make choices. But that doesn’t mean settling for second best. It just means deciding which features are most important to your business. No matter what type of business you intend to open or what you’ve prioritized in the last step, strong website security is an essential component in any good hosting plan. If you intend to take money from customers, those customers deserve to know that their financial information will be protected. As a business owner, you also want to keep your private details away from public view. Make sure the hosting plan you choose is going to keep prying eyes out of your business, has effective anti-malware installed, and keeps credit card information encrypted and safe. Many of the best web hosting services provide a 30 day period during which you can evaluate the service. Take advantage of a trial run when you can. All of the reviews in the world mean nothing when compared with personal experience. Take a hosting plan or two for a spin and you won’t get locked into a long contract you’ll regret. Unless you’re a technical wizard in your own right and plan to go the (expensive) route of hosting on your own server, you need to make sure the hosting company you choose has your back when things go wrong. You can skimp and save in a lot of areas, but tech support shouldn’t be one of them. Ready to start your search for a great deal on hosting? There are many resources that can help you, but here are some of the best. It’s a bit out of date, but Lifehacker surveyed their readers and came up with a few of the most reliable and affordable hosting companies. CNET.com offers reviews of prominent hosting companies as well. Of course, you don’t have to go through a middleman. Great hosting deals can be found everywhere. Take a couple of weeks, check out your options, and you may find that starting your online business is cheaper than you thought.